Keyblade Sora and his best Friends Kairi and Riki are joining the Kingdom Hearts Pop! stylized figure line up. 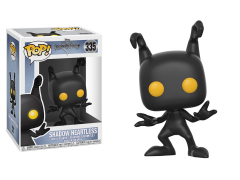 Rounding out the series are the dangerous enemy, Heartless (each sold separately)!